Dunheved Foundry | Launceston Then! Mr George Horwood, of Barnstaple, came to Launceston during the 1820’s, and set up in business as a plumber in Race Hill. He married a local girl and between them raised their family in the town. He moved to a site opposite the Castle gate, at the top of the new King William Street, (cut 1834, now St Thomas Road). Here he set up his business as an iron and brass founder and plumber. When George died two of his sons, living in two cottages either side of the Oddfellows Hall, carried on the business for many years. After the death of the sons, widow Mrs George Horwood (2nd) sold the business complete to Mr Edward Box. 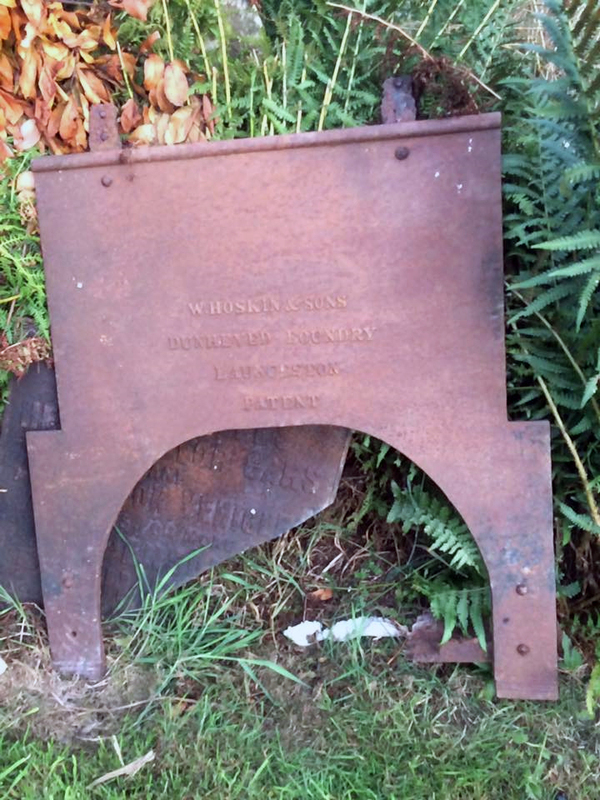 It passed to Mr Walter Hoskin around 1910 or so who carried it on for some years, producing carriages there. 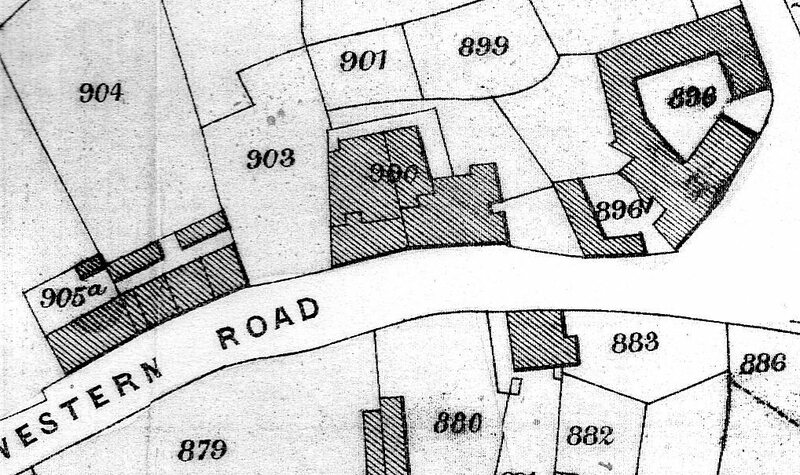 Although the foundry buildings have gone, the dwelling house and shop is still there and the two dwellings of the sons are very close, on Western Road. 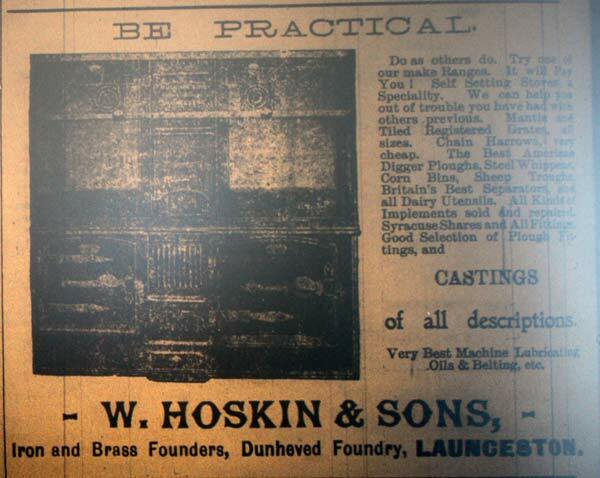 2 July 1887 – advert in East Cornwall Times: To Ironfounders, Plumbers & Others. Good Business & Premises in Launceston For Sale. TO BE SOLD BY TENDER all that commodious Dwelling House, Shop, Workshops, Foundry, Yard, Garden & Premises, situate in the Western Road, now in the occupation of the owner Mr George Horwood. Also all the Good Will, Stock-in-Trade & Fixtures in the said Foundry & Shop. The Business, which is a really good one, has been carried on by the present owner and his family for over 60 years, and is only sold in consequence of the ill-health of the proprietor. The Dwelling-House contains on the ground floor, a Shop, Kitchen & Three Sitting Rooms, on the first floor Five good Bedrooms. There are also good Cellars and Workshops underground, and a very convenient Yard, with Stables and Shed, also a large Garden at the back. White, Dingley & White, solicitors, Launceston. Dated 29th July 1887. Launceston Weekly Post 6 August 1887: Death Of An Old Townsman. It is with much regret that we record the death of Mr G Horwood, of this town, which took place at his residence, Western Road, on Saturday last, at the age of 57 years. Deceased, with his brother Mr R Horwood, had for many years carried on the Dunheved Foundry, and was very much respected for his steady, upright character both in business and private life. For some years past he has suffered from cancer in the face, and for the last month or two his pain was intense, though he bore it with Christian fortitude and patience which was most exemplary. Towards the last, however, he was mercifully relieved by unconsciousness and he quietly entered into his rest on Saturday. Though not a public man in one sense of the word, Mr Horwood was ever ready to do anything in his power to promote the best interests of the town, and as a prominent member of the Wesleyan body, and also a teacher in the Sunday school and a member of the choir for many years, he was greatly respected. The funeral took place on Monday last, and many friends paid their last token of respect, as also sympathy for the wife and several grown up sons and daughters who are left to mourn his loss. Transfer of the Dunheved Foundry. Mrs G Horwood, widow of the late Mr G Horwood, begs to tender her sincere thanks to the public for the support given to her husband during the many years he was in business, also for the sympathy expressed for her and her family in their recent bereavement and to inform them that she has disposed on the business to Mr Edward Box, for whom she solicits a continuance of past favours. EDWARD BOX respectfully announces that he has purchased the business carried on for so many years by the Messrs Horwood at the Dunheved Foundry and he hopes, by bringing his long experience to bear on the work in all its branches, and giving prompt attention to all orders which may be entrusted to his care, to obtain a continuance of the support long accorded to his predecessors. 18 August, 1887: Re George Horwood, Deceased. All Persons having Claims against the Estate of the late Mr G Horwood, of the Dunheved Foundry, Launceston, are requested to send particulars of the same to the undersigned, and all persons endebted to the said Estate are requested to pay the accounts due from them or or before the 27th, instant. White, Dingley, & White, solicitors of the Executors. Dated Launceston 12 April 1887. E C Times, Advert: 1903: To be Sold: Iron Foundry & Machinists Business, Launceston. To Be Sold by Private Contract, as a going concern, in consequence of the death of the late owner, all that very old established business carried on by the late Mr Edward Box, at Western Road, Launceston, and formerly by the Messrs. Horwood, with the Freehold Dwelling House, Front Shop, Foundry, Fitting Shop, together with the Stock in Trade, oil engine, &C., Garden and Stable. For further particulars apply to Miss Box, at Northgate House, Launceston. Mr W Palmer, Solicitor, Launceston; or to M/s. Cowlard, Cowlard & Grylls, Solicitors, Launceston. W. Hoskin and Son 1909. Mr Walter Hoskin, of Bridgerule, Devonshire (Near Bude), moved to Launceston in 1893, taking over a smith’s business in Tower Street. He later took over the Dunheved Foundry (from Box ?) And the carriage and building works of Messrs Hawkings. Mr Hoskin retired in 1927. Little is left of the foundry bar the house and shop building.